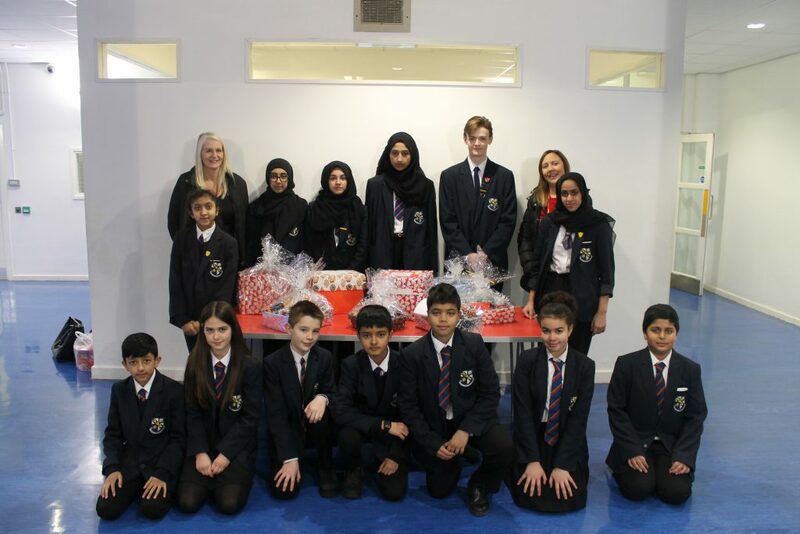 Continuing the community charity work, year 7 students from The Derby High School have donated eight fantastic Christmas hampers to the Grundy Adult Day Care Centre in Bury. Each form collected enough items for to make at least one hamper each. The forms enjoyed packing and decorating these gifts. Representatives from the centre; Anna Craig the Day Services Manager and Karen Smalley from Senior Care were delighted with the gifts. The students really enjoyed being given the opportunity do to this for the centre and they worked effectively as a team.